Sprains and strains in certain types of jobs are common. 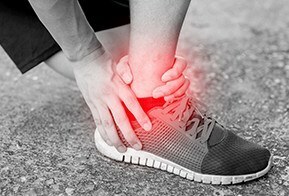 Sprains involve the extreme stretching or tearing of ligaments, the tissue that connects two bones in a joint; common locations for sprains are in the ankle or wrist. Strains are tears in muscles or tendons, and it is common for this type of injury to happen in the lower back. For both of these injuries, it is common to need rest, ice and elevation of the injured area. Many sprains and strains are minor and the afflicted person will recover over the period of a week. Some sprains and strains are more serious and may require surgery. If you experience a longer-term sprain, strain, or other type of work injury in Boston you should consult an experienced workers' compensation attorney. Massachusetts employers are required to have a Notice to Employees poster displayed at the workplace, indicating their workers' compensation information. If you've suffered a sprain or strain and were unable to earn your full wages for five or more days, your employer is required to report the injury to its insurer and the Department of Industrial Accidents (DIA). The employer must give you a copy of the report, which will include their insurance information. If your employer has reported your claim to its insurer and DIA, you should get temporary benefits or a denial from the insurer. After a denial of benefits for sprains and strains you should retain an attorney and send the Employee Claim Form- Form 110 to the DIA and the insurer in order to request a judicial proceeding before an Administrative Judge. There are four levels in the process of settling a dispute within DIA. The first level is a conciliation session. The results of this process are not binding unless you agree they are. In some cases, the insurer thinks it is paying too much and wants to reduce your benefits and in that case, you will receive a notice to attend a conciliation. The second level is a conference, which is also informal. The administrative judge issues a temporary order when the matter isn't settled, in which the judge will indicate whether the insurer needs to pay you compensation. You or the insurer can appeal the order within 14 days, at which point, your case goes to the hearing stage. The hearing stage is the third stage and entails a formal hearing before the administrative judge, and it is similar to a trial in civil court in which witnesses re called and testimony is taken. The final stage is the appeal to a review board. You can appeal within 30 days, and three administrative judges will examine the transcripts of the hearing. The only way the previous decision can be reversed, however, is if the administrative judge's authority conflicts with the law or is not justified. If you suffer sprains and strains on the job in Boston, you should retain an experienced workers' compensation attorney. While some sprains and strains are minor, in many types of manual labor jobs, a sprain or strain can be serious and long-term. It is important to obtain the full range of benefits to which you are entitled. The attorneys of Pulgini & Norton represent workers in Hyde Park, Andover, and New Bedford. Call us at 781-843-2200 or contact us via our online form for a consultation.